When you have dental implants, you deserve to work with the top dentist in NYC. Dental implants offer a permanent solution for patients who are missing one or more teeth. Because the tiny titanium screws fuse with your jawbone, dental implants never need to be replaced as long as they are properly cared for with good dental habits. Read on to find out how allowing the proper time to heal, maintaining good oral hygiene, and scheduling regular check-ins will ensure that you maintain your dental implants. When a top dentist in NYC places a dental implant, it is important to follow his or her instructions and allow your mouth to heal. Placing dental implants is a surgical procedure, and healing time varies for each patient depending on the quality of bone and whether or not bone grafting is necessary. Each dental implant should take between two to four months to heal. While dental implants are covered by tooth-like structures, including dental bridges and crowns, brushing and flossing regularly is just as important as it is with your natural teeth. Good oral hygiene is essential to making sure your dental implants continue to function properly and maintaining the best oral health. While dental implants cannot have cavities, they can develop gum disease, causing infection and even bone loss. To maintain your dental implants, be sure to schedule regular check-ups with a top dentist in New York. Your dentist can make sure each dental implant is healing properly and can treat early signs of gum disease. It is also important to speak to your dentist about any pain or discomfort associated with your dental implants. To learn more about dental implants in NYC, schedule a consultation with the top dentist in New York. Call Park 56 Dental at (646) 783-3529. Our experienced team is proud to offer the best dental implants, and we also practice sedation dentistry, so you will be comfortable during the procedure. Call us to get started on your smile restoration today. Malocclusion is a general term in general dentistry in NYC that refers to conditions leading to poor bite. Poor bite is any imperfect positioning of the teeth when the jaws are closed. Fortunately, a top dentist in NYC can help patients of all ages achieve a more evenly aligned bite, improving aesthetic appearance and helping with speaking and chewing. Keep reading to find out more about the most common malocclusions: overbite, underbite, and crowding. Overbite is a condition that occurs when the upper front teeth protrude over the lower front teeth. In severe cases of excessive overbite, the lower teeth may begin to bite into the roof of the mouth. Although some overbites are hereditary, others are caused by a malformed jaw. Overbite may also be caused by thumb-sucking and nail-biting. A top dentist in New York can correct overbite with techniques like tooth extraction or corrective measures like Invisalign. Conversely, underbite occurs when the lower teeth and jaw protrude in front of the upper teeth. Genetics play a key role in underbite but many dentists have also observed severe underbites due to extended use of a pacifier or bottle. Underbite is most commonly fixed through retainers, headgear, or invisible braces. Many people visit a top dentist in NYC because they are concerned about unevenly spaced or overcrowded teeth. Crowding can prevent permanent teeth from coming in properly and can even make it impossible for them to erupt at all. This condition is called impaction. If teeth become severely impacted, the condition can become very painful and require emergency dental care. For the best dentist serving NYC , look no further than Park 56 Dental. Our dentists can offer a wide range of different options to help correct crowded or misaligned teeth, including Invisalign in NYC. We are pleased to offer the latest techniques and technologies in general and sedation dentistry. Find out more about our dentist office by calling us directly at (646) 783-3529 today. In addition to brushing twice per day, a top dentist in NYC advises patients of all ages to floss every night before bed. Flossing is essential to maintaining the best oral health. The top dentist in NYC emphasizes flossing because only flossing can clean the areas between the teeth and gums where a toothbrush cannot reach. The top dentist in New York suggests starting by wrapping floss around the middle finger and holding the other end on your other middle finger. Just as when you visit your dentist office for a professional teeth cleaning, move the floss back and forth between the teeth and go all the way down to the gum. 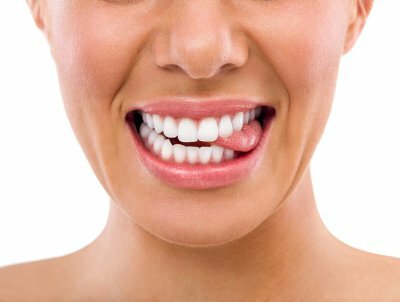 Get more tips on how to maintain the best oral health by speaking directly to the best dentist in NYC. Call Park 56 Dental at (646) 783-3529 today.